Monty Python And the Holy Grail has become a cult classic in many circles since its' initial release in 1975. There have been so many people within my life that told me, this was a movie that I needed to see. I was always capable of playing it off until I got married. My wife loves this movie and British humor, in general, whether as I'm a not a fan of either. However, sometimes revisiting material can be a cleansing experience. Monty Python and The Holy Grail tells the story of King Arthur (of the Britians) coming in search of the knights of the round table, until his search transforms into journey for the Holy Grail. The nature of this film in and of itself is completely irrelevant. That's not a bad thing. There is so much to respect about this film. It's a completely unique experience while watching this film because you never know what is gonna come next. That nature along make Holy Grail stand out. It contains a false opening, THE most out of place musical numbers and more. While the film is experimental in its' delivery, not all of the experiments are successful. 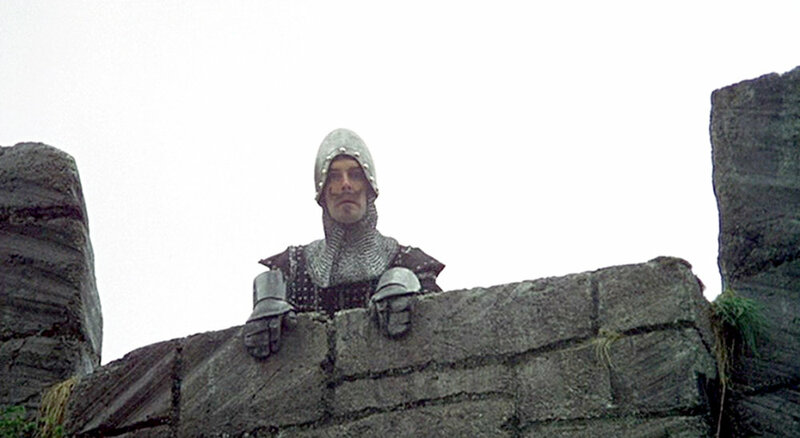 As the film transforms its' narrative past the forming of the knights to the search for the grail, the knights are given sketch-like backstories. These portions of the film feel like an anthology that take you out of the film. They just continue for a bit too long and honestly feel out of place. Why we didn't get them in the first bit doesn't make any sense to me. Overall, Monty Python and the Holy Grail is brilliant piece of cinematic history. Its' narrative is fresh, original and completely experimental. It never takes itself seriously and has a brillaint way of marrying multi story lines into a cohesive narrative - for the most part. The film does suffer from anthology-like elements that try their best to flush out the knights of the round table. These moments simply just held the Holy Hand Grenade of Antioch a bit too long. Music by Logan McElroy & Shawn Davis. The Flash and Man of Steel are all properties of DC Comcis & Warner Brothers Pictures. We do not own or claim any rights to them. The X-Files are property of Fox/Disney. We do not own or claim any rights. Monty Python & The Holy Grail is property of Sony Pictures. We do not own or claim any rights.